As you can see from the above picture, my map doesn't have a house icon, to show where the woodland mansion is. What does this mean? I haven't been able to find anything online about it. Any help would be greatly appreciated. Found a fix. This happened to me as well. 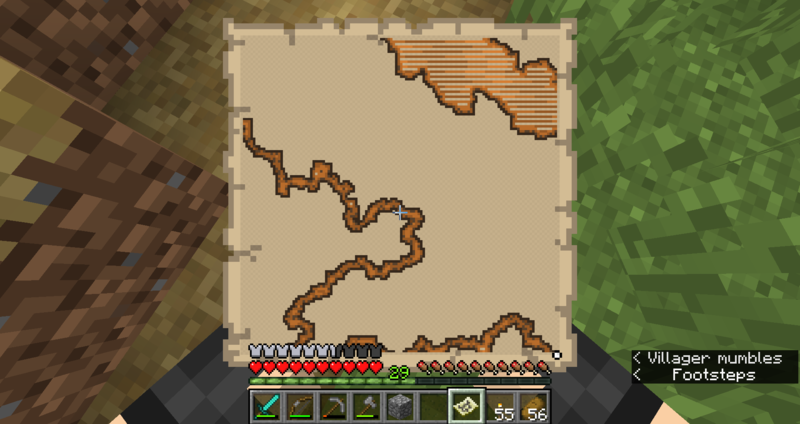 All you need to do is place your map in a crafting table and surround all other 8 slots with regular paper. This increases the size of your map by increasing the scale (i.e: "1:2" now becomes "1:4", then "1:8", and so forth). Keep doing so until you see a house icon. Where is the Iron Golem Spawning area HEIGHT centered?